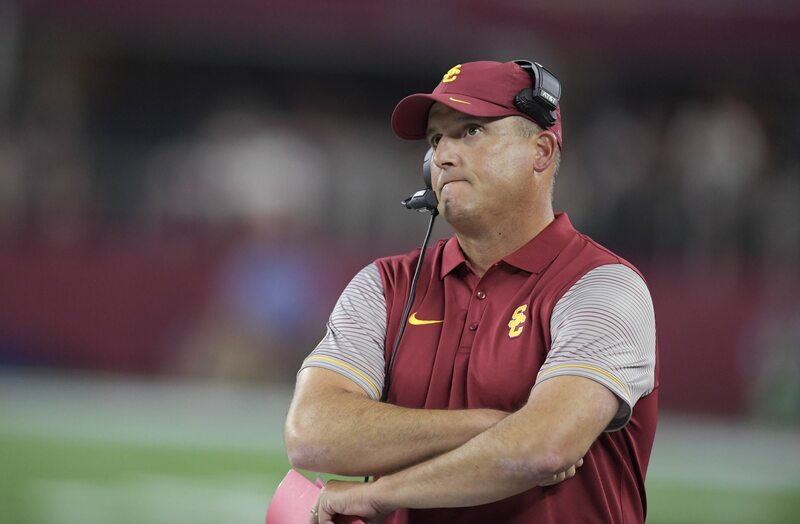 USC Trojans head football coach Clay Helton is trying this whole hiring thing again after the entire Kliff Kingsbury debacle. After Kingsbury lasted a full month in that role — only to move on to the Arizona Cardinals — the Trojans have reportedly hired Graham Harrell to be their new OC. BREAKING: #NorthTexas OC Graham Harrell just accepted the offer to become the new offensive coordinator/QB coach at #USC, per sources. The 33-year-old former NFL QB has helped UNT to Top 25 offenses the past two seasons. Harrell, 33, is a former quarterback with Texas Tech. After his playing days, Harrell decided to take to the Air Raid offense as a coach. He’s served as the North Texas offensive coordinator and quarterbacks coach over the past three seasons under head coach Seth Littrell — implementing the Air Raid offense in the process. It’s now rather obvious that the embattled Helton wants to bring that type of offense to Southern California. Whether it works with the group of players these Trojans have remains to be seen. But it’s clear that USC had to go in a different direction on offense after finishing this past season under .500.